Cambodia-based ABA Bank is looking for a new omnichannel banking solution and has issued a request for proposal (RFP). Interested parties should be able to offer “an integrated, multichannel platform” that supports internet and mobile banking for retail and corporate business lines. At present, ABA Bank has two separate portals for corporate and retail customers, and a mobile banking app, ABA Mobile. Of the three, the retail online banking portal – iBanking – is the oldest, as it was introduced back in 2008. The provider is Russia-based Compass Plus. The platform has not been changed since then, says ABA Bank, “meaning that it uses the same old design and lacks the integration feature, which could help to bring all ABA online products under one umbrella”. The bank also uses Compass Plus’ flagship cards and payments system, TranzWare, for card issuing, processing, ATM and POS acquiring. The corporate e-banking service was launched in 2015. As the retail iBanking system “couldn’t provide enough functionality and tools to manage and maintain effectively corporate accounts”, ABA Bank decided to build a temporary solution for corporates in the short-term. It uses ASP .Net framework. “The overall design, as well as the set of features and other modules of the website, were developed in-house without the involvement of professional designers, UX/UI experts and without deep studying of the real needs of accounting in enterprises,” the bank says. ABA Mobile was also introduced in 2015. The app was developed by the bank’s subsidiary, PayGo. The app is now available for both Android and iOS platforms. For its core processing, ABA Bank uses Oracle FSS’s Flexcube. The system was implemented at the bank three years ago. 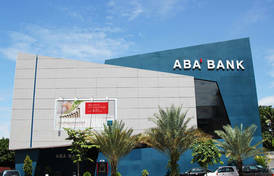 ABA Bank was set up in 1996 as Advanced Bank of Asia by a group of South Korean investors. Today it is owned by two parties: National Bank of Canada (42%) and an individual entrepreneur, Damir Karassayev (58%). The bank has a countrywide network of 33 branches and outlets, with ten more scheduled to open before the end of this year. It offers products and services to individuals, SMEs (particularly in the rural areas of Cambodia) and corporates. The firm will help the bank get the most out of its Oracle Flexcube system. Flexcube fighting fit with another win in the country. Flexcube has been tailored for the Italian market by local integrator Cabel. Data migration project in Nepal completed with the help of JMR Infotech.